Managing Feeds · User guide of MISP Malware Information Sharing Platform, a Threat Sharing Platform. Feeds are remote or local resources containing indicators that can be automatically imported in MISP at regular intervals. 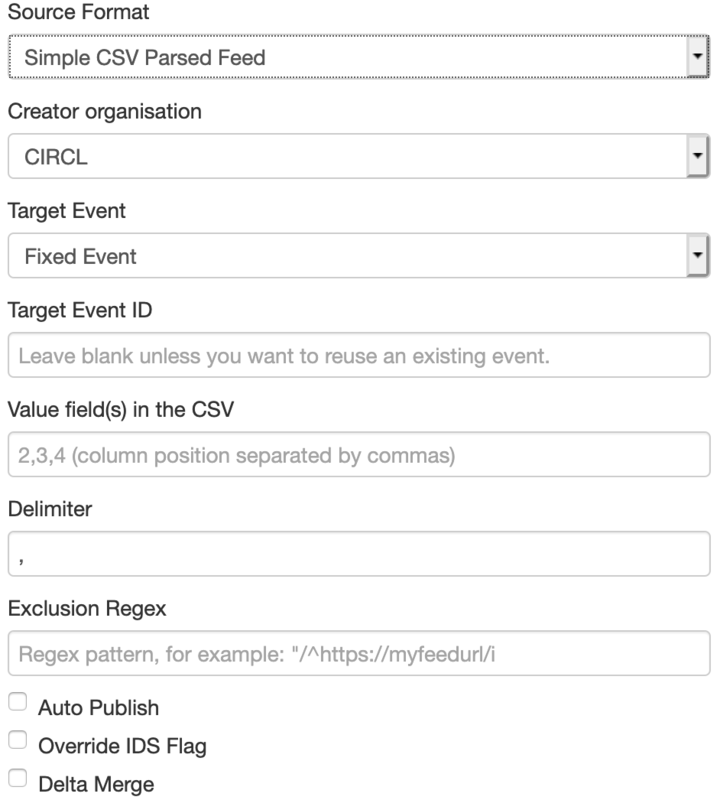 Feeds can be structured in MISP format, CSV format or even free-text format. You can easily import any remote or local URL to store them in your MISP instance. It&apos;s a simple way to gather many external sources of information without any programming skills into MISP. 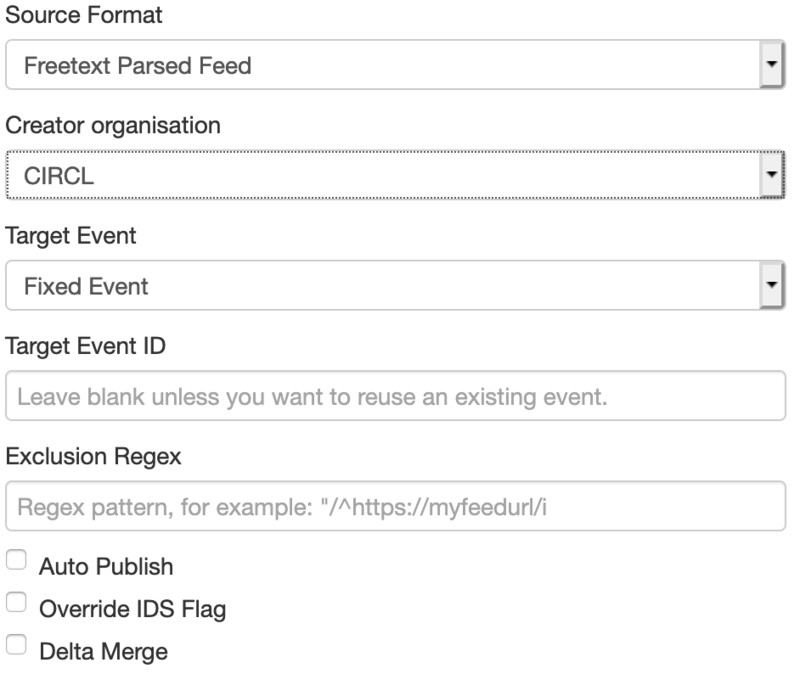 Feeds description can be also easily shared among different MISP instances as you can export a feed description as JSON and import it back in another MISP instance. [warning] A site admin role is required to perform these actions. To do so, you first need to access the list of feeds, using the top menu. Then select the add feed option on the side menu. Here you will have access to a dynamic form. Let&apos;s check each field by order. Local: Hosted on the local server. On this case, a new checkbox "Remove input after ingestion" will appear. If checked, the source is deleted after usage. 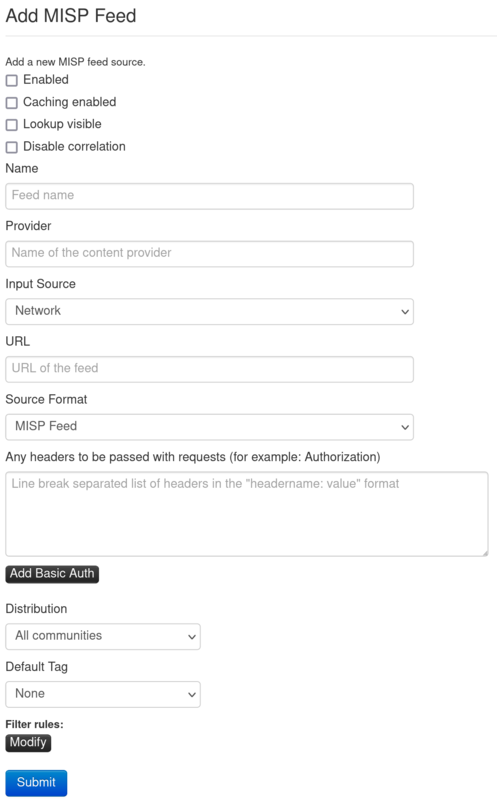 MISP Feed: The source points to a list of json formated like MISP events. Delta Merge: If checked, only data coming from the last fetch are kept, the old ones are deleted. 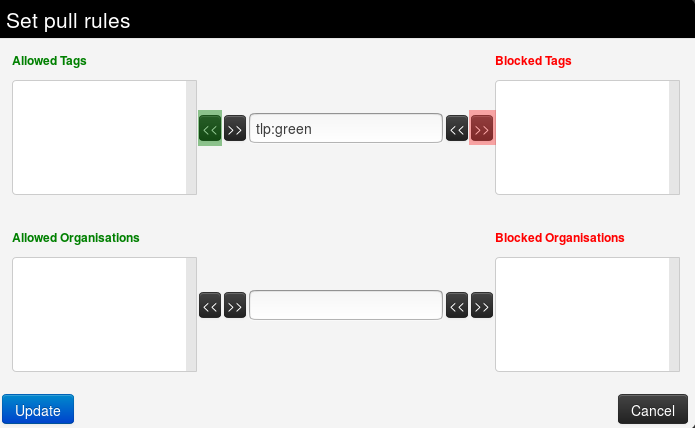 Filter rules: Here you can define which tags or organisations are allowed or blocked. To add a tag (resp. organisation), first type it into the top middle (resp. bottom middle) text field . Then use the arrows that point to the outside to add it to the allowed or blocked tags (resp. organisations) list. To remove a tag (resp. organisation), select it in the list and click on the arrow pointing to the inside. If an indicator from an feed matches an indicator within a MISP event, it will show up as "Feed hits" in the event overview. The correlation will not show up in the correlation graph of the event.